We are proud of our Kannadati in United Kingdom Mrs Veena Patil who has won Mrs Classic Universe 4th runner up in Sofia Bulgaria. She is from Gadag, Karnataka. She is a mother of a special needs child of 23 year old with autism and severe learning disability. On behalf of Kannada Diaspora, let us all congratulate and wish her all the success for her future endeavour. Veena is a strong, resilient mother who dedicated her life for a disabled daughter. She is married with Dayanand Patil, an Oil & Gas Engineering consultant. They have a daughter Disha, who is 23 years. Disha is an autistic, cerebral palsy with sever learning disability. Parents were exhausted by the 24×7 caring of Disha, who is totally dependent for her needs. Social worker referred Disha to Cherry Trees that provide short breaks for special children in Clandon, UK which changed their life. Cherry trees supported Disha after school and overnight stay for several days a month and which gave much needed respite to parents. Parents continued to support Disha themselves till she turned 18 years. By now she started losing her mobility and handling her started becoming hard. The fear of Disha’s future started disturbing parents’ sleep and then came to know of supported living option. One fine day Disha moved away to live with girls of her age. Veena got in to depression of missing her. She never had time for anything else but care for Disha in last 18 years. Managing Disha was a big challenge with increasing needs as she grew and especially when she stepped in to adolescence. One can imagine changing the nappy of a child for life. With such a busy life, she could not make many friends rather it is hard to make friends if a person has special needs child. Parents of special needs are different in many ways, topics they talk about, difficulties and challenges they face, the attitude of society, friends & relatives moving away like untouchables etc, list is endless. They tend to face with continuous barrage of challenges from societal isolation, financial strain. Veena’s life go on with a smile supressing all the difficulties. So, there was a sudden vacuum created around her with Disha’s move. With her resilient nature completed courses to be qualified as a dispenser in Pharmacy. Then Veena felt it’s the time to rediscover herself and fulfil her teen age dream of modelling and fashion world. She entered Mrs India UK pageant for 2018. This journey changed her life for better. She made new friends that helped her to come out of social isolation. She learnt new skills like public speaking, stage performance etc. Veena was the eldest among 31 contestants with youngest one close to her daughter’s age but co-contestants never gave an opportunity to realise her age. She won Timeless beauty sub title, Special Colors TV recognition award for being Woman of strength. Veena was crowned as Mrs United Kingdom Classic Universe 2018 and appointed as Platinum Brand Ambassador for Mrs India UK 2018-19. She got an opportunity to participate in Mrs Classic Universe 2019 in Sofia, Bulgaria. It was a tough competition with talented women from different parts of the globe. She was crowned as Mrs Classic Universe IV 2019 and was the first British Indian to participate and win the title. Veena strongly believes one can change the dream in to reality, if one has faith on self. 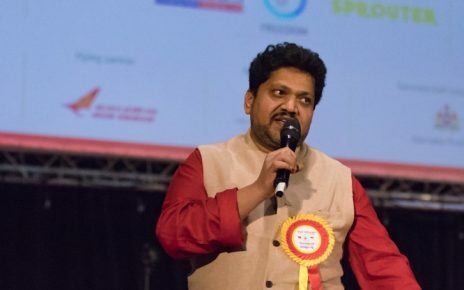 She had performed Pantomime act in talent round of Mrs India UK 2018 to showcase her life story in 90 seconds and ended the act with a dream of crowning her angel daughter Disha. It took some time to turn this dream in to reality. The proudest moment for her was when she crowned Disha on her return from Sofia, which she had dreamt in Pantomime act. 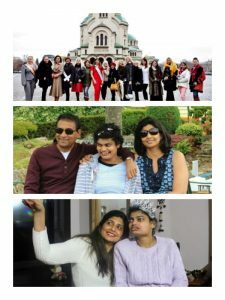 Veena gives the credit to Aditi Gupta, founder and director of Mrs India UK and Brandwok and the multi-talented mentors who trained her to come out of the shell of being a carer of her daughter for 2 decades and helped to her to lead her life to what she always wanted to do, made her confident and bold. Mrs India UK platform opened the doors for her to get involved in various social cause events. She did ramp walk in London to raise funds for Nainika Memorial Trust & Sai Vriddh Ashram. She participated in ramp walk with Cancer survivors organised by Nakshi London. She played one of the Navadurgas in an event at SOAS , London university raising awareness on eradication of drugs. She and her husband are supporting 15 charities on monthly contribution for years, support few organisations in India that support disabled persons. She ran stalls to raise funds for Cherry trees and for Disha’s special needs schools. Very recently she has started supporting ‘Save the girl child’ campaign with an NGO in Sangli, Maharastra,India. Veena believes in helping hands are better than praying lips. Disha has completed her college in London, has achieved Bronze Duke of Edinburgh’s award, runner up & highly commended The Ronald and Barbara award for achievement by Young epilepsy St peters college, performed in group acts in schools & college. And now she is living independently and made her way to future. She has made her parents proud by achieving beyond her capabilities despite her disability. What else a mother can expect for her child? This has relieved the parents from “what after we” any parent of special needs child worries about. Going forward her vision is to spread awareness on Autism and support the families who have special needs child, bring awareness to parents with normal children on how to deal, accept and respect a special needs child. Veena always believed God has chosen her as parent to Disha for a purpose and God can’t be wrong. Disha has taught her to be selfless, help needy people and be yourself, not to hurt others.